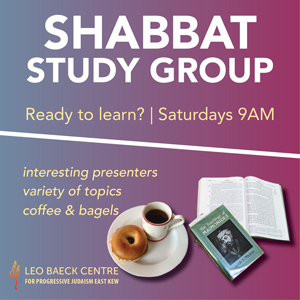 Join our study group on Saturday mornings at 9:00AM for a discussion on a variety of topics. We plan to have a number of interesting presenters and the material for study is not limited to Torah parashah/ haftarah readings. Coffee & bagels will be available.